Perhaps the greatest unknown fact about life on Planet Earth concerns the MEDIA, and in particular, the Mainstream Media (MSM). This original World Wide Web of illusion-producing media corporations was put into place at a time when very few understood the influence it would exert over every square inch of the planet. Truly, one of the most powerful forces in the realm of men is the force of language. 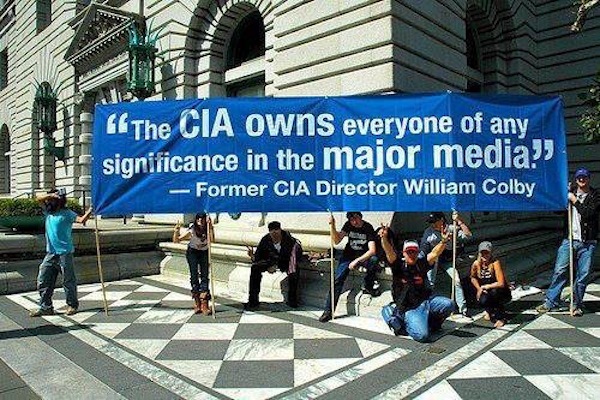 Being cognizant of this, the true owners of the MSM have completely co-opted and compromised this force … … … because they know that “whoever controls the media controls the world”. The etymology of Media takes us back to the time of the ancient Persian Empire to a people known as the Medes. According to Herodotus, there were six primary Mede tribes or castes. Of these six Median tribes, it is the Magi who have distinguished the Medes because of their prominent place and influential role within their society. As implied, the word magic is derived from the name of this priestly class because of their capability to produce what would be considered magic within their culture. Also known as the “Enchanters of Old”, these experts in astrology, alchemy, and geomancy exercised great power within Persian society. Their esoteric knowledge allowed them to exert great influence over the common man as is often the case with those who possess the ability to predict and prophesy. Of course, over the span of centuries “the term ‘magian’ acquired a negative connotation and was associated with tricksters and conjurers.” Hence, we see the direct connection to those in the modern day mainstream ‘media’ who conjure up false stories in order to trick the nations of the world into perpetual war. This media-driven, geo-political dynamic is at the very root of almost six thousand years of human history. And, yes, it is ‘His Story’ much more than ‘Her Story’ since men really do seem to come from Mars, as most women seem to come from Venus. Since the very notion of war has been so hardwired into the genes of humanity over eons, the Universe has seen to it that there will be intermittent times to practice up on the battlefield known as Planet Earth. The very purpose of the Iron Age was to fashion weapons of war out of iron which would go on to define the hard and cold nature of our ‘civilization’. Steel is very hard and cold. It is also ubiquitous in its many uses throughout every sphere of life. A double-edged sword can cut both ways — for good and ill. And so we have seen … everywhere across the land. It is important to understand that the current Iron Age is analogous to the Kali Yuga. They are essentially one and the same. Since conflict is the defining nature of the Kali Yuga (just look at recorded human history), and war is the quintessential form of conflict, LOTS of wars have been started and fought throughout this final age of a 60,000 year epoch. This is where the MEDIA comes in. And especially its capacity for deceit and deception in the interest of starting wars by those who ultimately control the MSM. When it’s understood that the Mainstream MEDIA, was conceived and designed to trick the masses into fighting each other, it will have much less hold over those who become aware. However, we are talking about one of the foundational forces of creation known as Maya. Maya is the very essence of illusion, and very difficult for even the best among us to penetrate. Admittedly, the Cosmic Convergence Research Group is tricked and trapped by its two-facedness treachery every single day, so powerful is its capacity to weave webs of illusion. This is a very unhappy statement, we know; but completely true nevertheless. 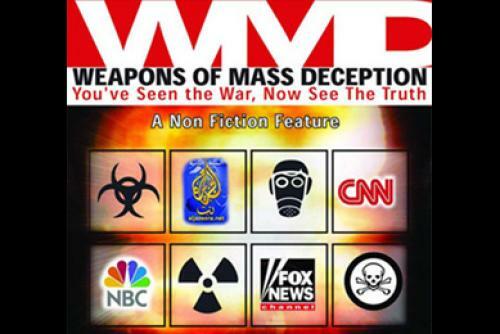 Think about the role of the MSM in the run up to the War in Iraq in 2003. Everyone knew it was based on bald-faced lies, contrived falsehoods and miscellaneous fabrications. And yet it proceeded in the face of great worldwide opposition. A very unfortunate situation indeed, especially in light of the current predicament in Iraq. As the title of this essays implies, whoever controls the media controls the switch for starting and ending every war, conflict and minor skirmish, anywhere on the planet. About this fact of life, there is no doubt. 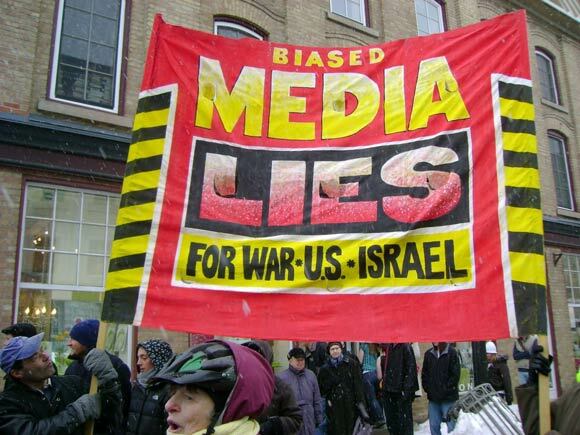 Because of its long held position of dominance, the MSM reflexively controls the myriad conflicts and dramas which abound in every form of media, even throughout the alternative news media (through the process of media referral and reflex*). How difficult is it to separate fact from fiction on so many alternative news sites? Many websites have been co-opted and don’t even know it. Unwittingly, some alternative sites serve the very same purpose as the MSM of which they profess their vow to expose. *Alternative media reflex is the anticipated reaction by the alternative media to fake stories in the MSM which often serves to legitimize them. MSMedia referral is the outright exportation of fraudulent stories from the MSM to the alternative media carried with more credible ‘depth and context’. This common tactic, which can be executed with deliberate intention or without any calculation whatsoever, confers a veneer of legitimacy and/or credibility upon the referred piece of journalism. When we say that there is no stopping the force of destiny, particularly with regard to the waging of war, what are we really saying? By way of illustration, we need only to look at the presidential elections of 2000 and 2004. In both instances, the MSM played the vital role in ensuring that each election would be stolen outright by a proud warmonger. Even though votes were not properly counted, a Supreme Court rubber stamps an obviously fraudulent election. However, there are two critical points which cannot be overlooked. Each concerns the inviolable laws karma and destiny. I. A nation always gets the leadership it deserves per the laws of national karma and the outworking of personal destinies. No exceptions granted except by highly exceptional Divine Decree. II. The leadership, which guarantees that war will be waged when its time has come, will always be installed regardless of the illegal or immoral means when it is time for war to be declared. This second statement is a tough one, especially for all of us peacemakers. Let’s fast forward to 2008 and evaluate what the Noble Peace Prize winner Barack Obama has done in the war department??? Let’s take a very close look at Afghanistan … Iraq … Iran … Pakistan … Libya … Syria … Honduras (rubber stamped a coup d’etat) … Paraguay (rubber stamped a coup d’etat) … as well as the numerous, clandestine acts of USA militarism all over Africa. When the Old Gray Lady* – the New York Times – is responsible for starting more wars than any other single newspaper in world history, you know we have a serious problem. The NYT is supposed to be the bastion of liberal, progressive, democratic thought and sentiment (supposedly anti-war???) … and yet it is directly responsible for more wartime deaths worldwide than any other print media on the face of the planet … for all time! 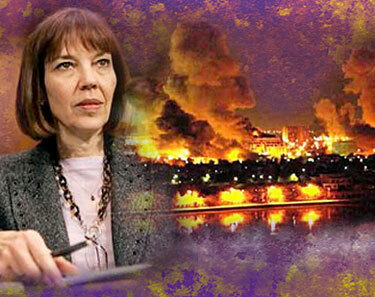 The New York Times allowed reporter Judith Miller to use its front pages to sell War against Iraq by way of naked warmongering and bellicose yellow journalism. The spinning of webs and weaving of illusions is so strong that a sitting president is allowed to routinely kill, maim and paralyze the people of Pakistan any time they are labelled a terrorist threat. Now that’s pretty strong matrika shakti at work, isn’t it? That peace-loving ex-hippies and former beatniks would sit by idly and support a government policy or political agenda or elected official whose record is that of a cold blooded murderer is as strong a testament as one could provide toward revealing the true power of the press. Any essay on the Mainstream Media would be deficient were it to neglect the ultimate weapon of mass deception — the TV*. The awesome destruction caused daily throughout society by this extremely powerful medium cannot be overstated. No other device or invention, technique or technology can compare to the efficacy and efficiency of the mind control programming of the television set. *When language is married to image – as in audio-visual (video) – the power of the word is made even more powerful. Without a doubt, when the history of the final days of our age are evaluated objectively sometime in the future, the TV will receive the credit for sufficiently dumbing down the population whereby its young adults are proudly marched off into grotesquely immoral wars. That so many are corralled into war mentality, and then so easily stampeded onto battlefields around the world is a testimony to TV military marketing. What is matrika shakti? It is the very power inherent in the word. Each letter, each word, each phrase, each sentence possesses its own matrika shakti or power (energy). When strung together in a certain way, these words will compel men to pick up a gun and thoughtlessly kill other men — without the least bit of hesitancy and often with zeal — in a foreign land. What are we really saying as to what the MSM might be shaping up during this 2nd Great Depression that keeps getting ‘greater’. Perhaps the following quote from “Special Message to the Market Oracles and Money Masters of the Universe” suffices in this regard. The internet has permitted the establishment of an alternative news media much of which is thoroughly dedicated to the dissemination of real facts, unvarnished truth and heretofore secret information. Therefore, the playing field has been leveled like never before, though it is still tilted in the TPTW’s favor. As more become digitally connected and disconnect from the MSM, the old media paradigm loses power. Given the extremely rapid proliferation of computer and smart phone technology, there does exist the likelihood of a sufficient number of souls setting up their own platform within their own cyber-space. As this organic, grassroots, global initiative expands throughout civil society, we may see a tipping point in regard to who will control the predominant media of the future. Only at that point of media evolution will we see the real change that so many long for. How’s this for a piece of New Age journalism? The Mainstream Media is actually a catchphrase for much more than just corporate-controlled print, TV and radio news outlets. The MSM also includes the corporate-directed motion picture industry, music industry, book publishing, public and private educational systems, social network utilities, among others.